ULN-8, FireWire audio interface from Metric Halo. yohannabbou's review (This content has been automatically translated from French)" the rolls sound cards"
the metric halo interface and the aid community. I did mix in up to 90 tracks in 96 khz and after is my proc no longer held. manual is perfect and the metric halo community and forum user terrible! I had front edirol, profire, RME Fireface 800, metric halo uln2 and 2882, there is no match, the uln8 them is widely superior in all areas. installation without problem (it's 3rd mas) no inconsistency, config Gnrale easy for pros or amateurs, the manual is very good, and many videos are available on the net. 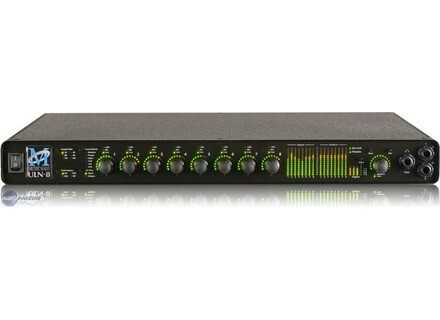 Metric Halo has unveiled their new ULN-8 audio processing converter and interface.